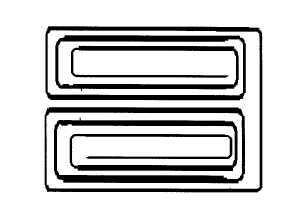 TM 10-5430-243-12&P 0005 00 Change 1 0005 00-16 w. 6th Fold: Fold the entire lower edge of the package up and on top of the upper edge of the package. Package measures 4 feet 7 inches in width and 5 feet 4 inches (1.626 m) in length, approximately. 7. Slide lifting straps under tank from either side, adjusting until straps are 18-inches (45.72 cm) from the edges of the tank package. 8. Lift tank from the right edge by looping the lifting straps over lifting bar (if provided) or over lifting device.